Solving the mystery of the North Pole is like trying to solve a murder. Lacking witnesses, we rely heavily upon circumstantial evidence. We cannot trust Peary or Cook’s accounts since they had strong motives for bending the truth. We cannot trust the accounts of the men who accompanied them because none of them were capable of calculating their geographical position using sextants or other equipment. sea floor). But Cook did not carry the equipment to make these soundings (claiming it was too heavy). Peary’s measurements ended at 1500 ft when he claimed that his line ran out, making them useless. Without clear proof, we are left with indirect evidence which leaves doubts about the claims of both explorers. The journals of both men show significant gaps and discrepancies. Cook did not appear to have much knowledge of the sextant which would have been essential in determining the location of the North Pole. His “proof of discovery” given to the University of Copenhagen did not include sextant calculations. When he included sextant information in his book, they were in error. 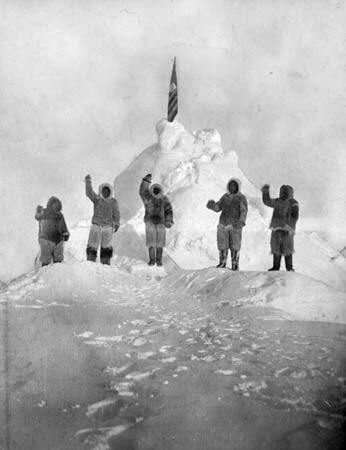 Cook claimed to travel fifteen miles a day over the pack ice, a speed that exceeded previous expeditions over the polar sea (Fridjof Nansen, for example, averaged four miles a day). 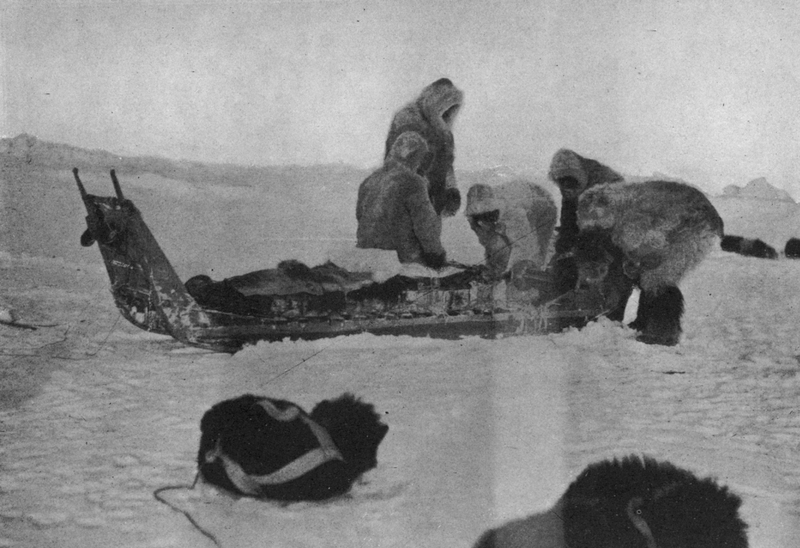 Peary, who was fifty-two years old and had lost most of his toes to frostbite, claimed to travel twenty-six miles a day for the last five days of his journey. 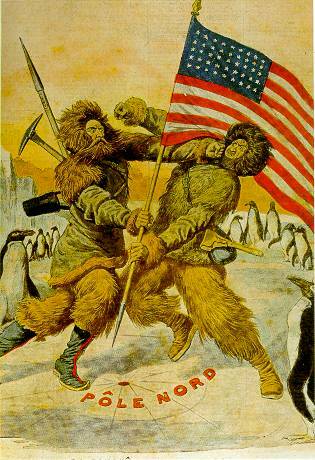 We will probably never know for sure if either man ever made it to the North Pole. One thing is certain though: their greatest legacy is not geographical discovery, but the controversy that they left behind. That we still talk about this issue, argue over its merits, and still try to figure it out, tells us more about ourselves, than the small spot they claimed to discover at the top of the world.